All the way from Lake Charles, Louisiana, zydeco dance instructor Harold Guillory will be joining the party on Saturday, December 6th when Allons Danser and Zydeco Crossroads present Curley Taylor and Zydeco Trouble live in concert at District N9NE (formerly the Starlight Ballroom) in Philadelphia for a live concert, dance party and broadcast. Guillory is about as authentic as it gets. He’s a Zydeco music and dance authority and an unstoppable ball of energy. Known to many as “The Zydeco Man,” he’s an incredible dancer and an excellent instructor. Motivated by his love of the dance, the music and the desire to share his culture with others he created his own television show called Louisiana Zydeco Live , a weekly show that featured Zydeco dancers and musicians. Harold has taught on many cruises, camps, workshops and festivals all over the world for many years and consistently rates as one of the most popular instructors. Harold’s family tree consist of Bois-Sec, Amede, Lawrence, Dexter, Sean and Chris Ardoin. 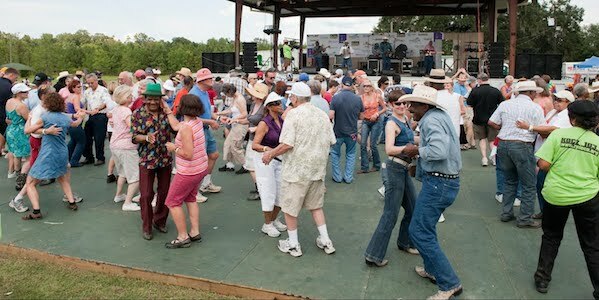 The Zydeco Crossroads concert and dance party with Curley Taylor & Zydeco Trouble and Harold Guillory is free, but you must RSVP. Sign up for the event here. Below, check out a couple of Harold’s dance videos.